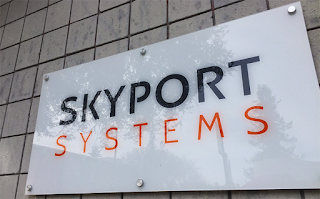 Skyport Systems, a start-up offering secure infrastructure solutions, announced interoperability between its SkySecure platform and Cisco’s Application Centric Infrastructure (ACI) solution. The goal is to provide application-layer and system-level security and policy controls needed to extend the trust boundary from a system-level root-of-trust to the network edge. Skyport said its interoperability with Cisco ACI also mobilizes security policies, enabling them to follow workloads throughout their lifecycles, and lets users deploy and maintain secure administrative workstations, jump hosts and multi-zone DMZ architectures as an integral part of an overall security framework. Skyport's SkySecure converged system brings together zero trust compute, virtualization and a full stack of security technologies. It logs all traffic at a forensically auditable level, enabling users to see where traffic originates, where it is headed, whether it was allowed or not, what policy allowed or blocked it, and when and who put that policy into action. Remote management capability allows users to easily secure branch infrastructure without firewalls, proxies, MPLS or other security measures.